Think ballet is just for girls? Think again! For far too long, society has suggested that pursuing a passion for dance is off-limits to boys. It’s all pink tutus and pointe shoes, right? Well, the 17 male ballet students at the FBP School are busting that myth! Week after week, the growing number of male Festival Ballet Providence (FBP) School students are proving that ballet is for boys at every level. 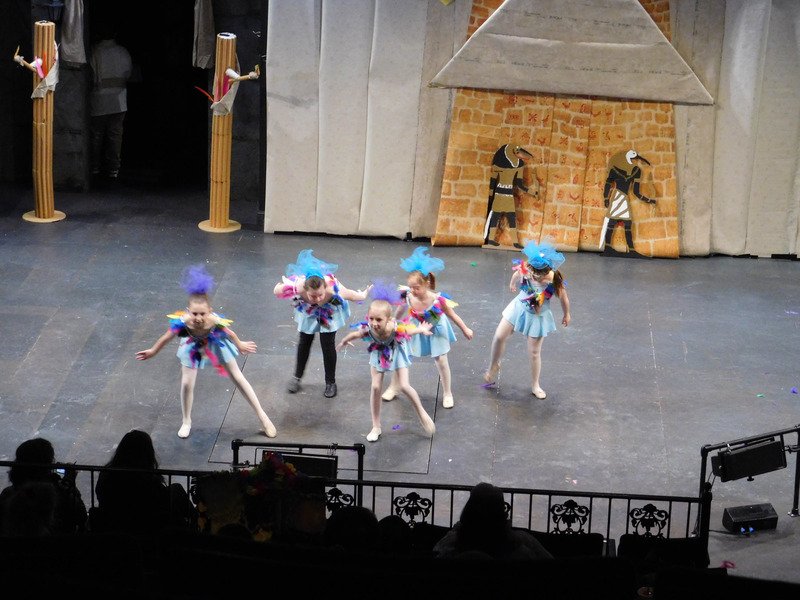 Starting from the youngest dancer to FBP School’s rising senior, these students are working every day on their coordination, strength, musicality, and stamina. With dedication and endurance, they are knocking down stereotypes about male dancers, demonstrating that ballet is for everyone. All you need is inspiration to move. Also paving the path are these successful FBP School alumni…. Graduate Brandon McGuirk’s experience in the studios at FBP prepared him for his current role as a Company Dancer with Roxey Ballet Company in New Jersey. Brandon reflects fondly on his eight years in the FBP School, where he felt especially influenced by guidance from FBP’s company dancers. Another FBP alum, Joseph Lynch, has taken what he learned from his seven years at the FBP School to his role as a dancer for Ballet West II in Salt Lake City, Utah. Joe also had some great things to say about his training in Providence. 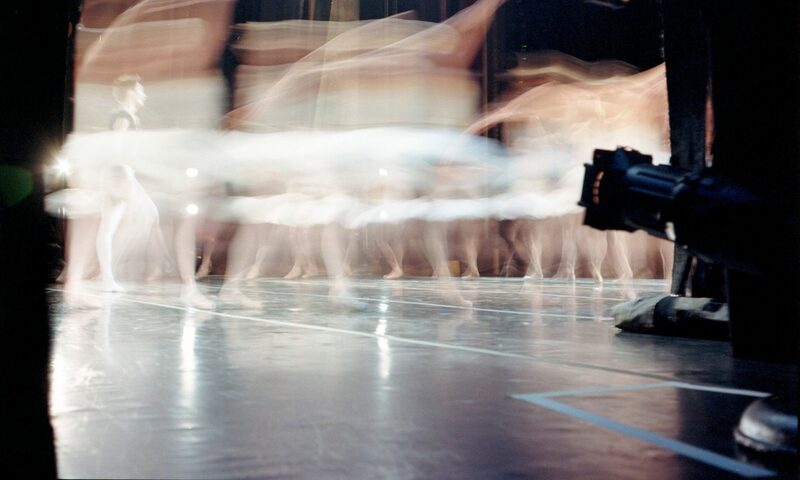 To get the inside scoop on this growing legacy, we talked to a few of our current students about their time in ballet class. “Ballet makes me happy. I like it because I get to move my body,” one of our youngest dancers, six-year-old Cole Previti, said when asked what dancing means to him. But it’s not all about the physicality. Ballet student Jack MacDonald also finds a sense of mental balance through ballet. And there you have it. So what are you waiting for? It’s never too late to join these boys and sign up for classes! For our current class schedule, curriculum, and all other school information, click here. 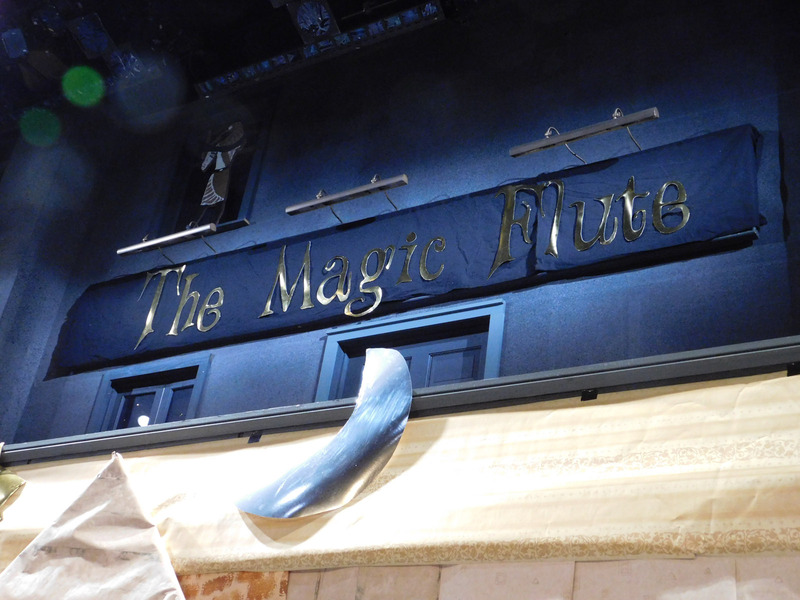 This weekend, FBP School will be holding a special fundraiser at Barnes & Noble in Warwick. Funds raised will go toward the Christine Hennessey Scholarship Fund, a need-based tuition assistance program for the FBP School. The fundraiser runs 10:00am-7:00pm on Sunday May 7, 2017 and continues online through May 11, 2017; you must mention the fundraiser at checkout. We asked company dancers and FBP School faculty to give us some recommendations, for aspiring dancers and lovers of dance. We encourage you to stop by on Sunday, or shop online next week. It’s also the perfect time to get your Mother’s Day gifts! This is a book that I purchased years ago, when I started ballet, as a reference to proper technique. I hope this is helpful and inspires. A great biography for young dancers. Recommend for grades 5-9. My go to dictionary for classical ballet technique. 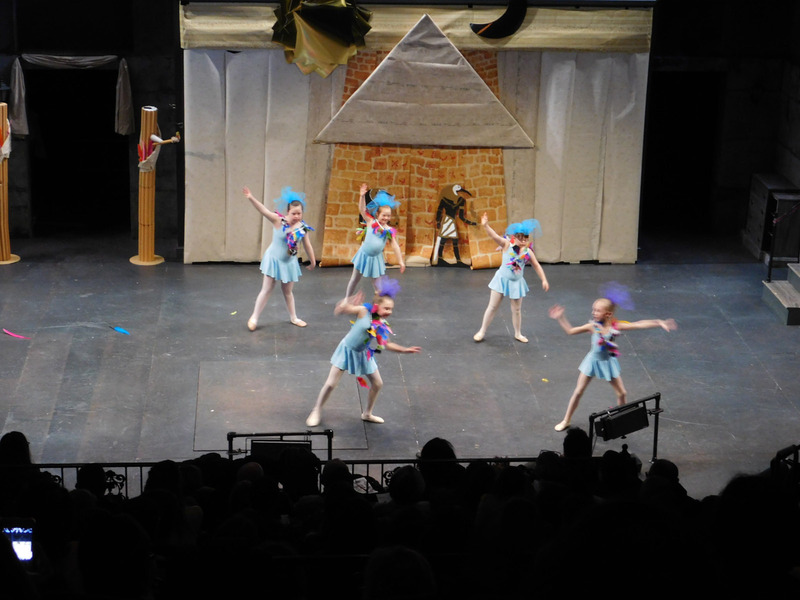 A perfect story for preK-3 dancers. This story has become a beloved part of our outreach program. A beautiful telling of the classic fairytale with the opulence of the high courts of France. Watching any and all of the grand ballets performed by the great dancers of all time is always inspiring and educational. This is one is one of my all-time favorites. It inspired me when I was a kid, we had it on one of those old music discs, I grew up with it and I am who I am in part thanks to this. Arlene Croce is arguably the single best writer on dance in the 20th Century. Her insights were at once poignant and arresting, training a penetrating eye unlike any other on a rapidly changing art form. This is a great book about choreographic icon George Balanchine. It’s a biography of sorts, told through the lens of his works, from the earliest surviving work Apollo (his eighty fourth piece of choreography!) to the blockbuster Jewels and the jaw dropping Ballo Della Regina. A concise encapsulation of a prolific choreographer. Alvin Ailey American Dance Theater performs some of the works that have won them wide acclaim, including “Divining” and “The Stack-Up.” Music is provided by many artists, including Laura Nyro and Alice Coltrane. In celebration of the 50th anniversary of Alvin Ailey American Dance Theater, this dazzling book includes both original black and white and full-color photographs by Andrew Eccles. This stunning autobiography relates the powerful story of one man’s painful search for identity despite a lifetime of remarkable achievement. Sassy worries that her too-large feet, too-long legs, and even her big mouth will keep her from her dream of becoming a star ballerina. So for now she’s just dancing in the wings, watching from behind the curtain, and hoping that one day it will be her turn to shimmer in the spotlight. Exiled in Paris, the frail, elderly Mathilde Kschessinska sits down to write her memoirs. A lifetime ago, she was the vain, ambitious, impossibly charming prima ballerina assoluta of the tsar’s Russian Imperial Ballet in St. Petersburg. What is the essence of black dance in America? To answer that question, Brenda Dixon Gottschild maps an unorthodox ‘geography’, the geography of the black dancing body, to show the central place black dance has in American culture. A Choreographer’s Handbook invites the reader to investigate how and why to make a dance performance. My son Miles is always so happy when she gets her shoes. This series was one of my favorites… I identified with the younger sister Randy, who was a tomboy and clumsy, and wanted to be a ballet dancer. I loved this book when I was a kid. This past weekend, several FBP School Students participated in the Boston Regional division of the Youth America Grand Prix competition. We are proud of the progress they made over the last several months, dedicating their time and energy to bring these solos and group numbers to the stage. Congratulations to all the participants! Additionally, Mia Del Sesto was scheduled to participate but had to withdraw due to injury. Also, our thanks to the faculty for rehearsing and coaching these variations and group pieces (and for sacrificing a bunch of Sundays in the process)! FBP School student Kathleen Toland. Photo courtesy Leticia Guerrero. FBP School student Hansine Hernandez. Photo courtesy Leticia Guerrero. FBP School students Madison Couto and Hannah Yelnosky. Photo courtesy Leticia Guerrero. FBP Student Vanessa Linden backstage. Photo courtesy Mary Ann Mayer. FBP Student Hannah Yelnosky backstage. Photo courtesy Mary Ann Mayer. FBP School student Adam Littman Davis (second from right) receives his award. Photo courtesy Leticia Guerrero. FBP School student Vanessa Linden receives her award. Photo courtesy Leticia Guerrerro. This past weekend, seven FBP School students traveled to Torrington, Connecticut to participate in the Connecticut Classic Scholarship competition. FBP Artistic Staff and FBP School faculty have been working with the students since October working to prepare the students for this competition and the Youth America Grand Prix (YAGP) competition that is held next weekend in Boston. There were many noteworthy schools and talented students competing from around the region. All of FBP School’s students scored in the high 80-90 percentile, with the following students placing in the top 10. 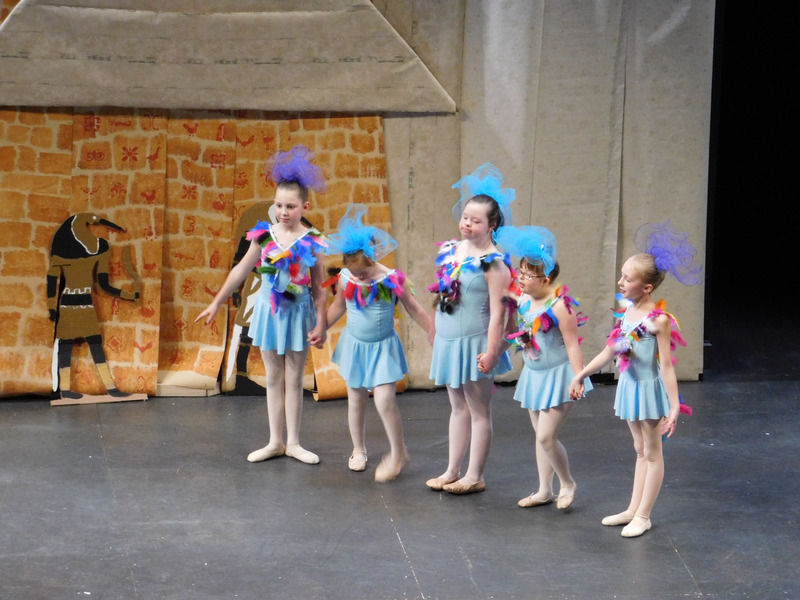 Congratulations to all of our young and talented dancers! Next weekend these students will join a few other students for the YAGP regional competition in Boston. We will be sending more information regarding this event, in case you would like to livestream some of our dancers performances. If you would like to support our students come to the live event at the John Hancock Hall. Details to follow later this week! Article by Ruth Davis. Video by Ty Parmenter. Photos by Jonathan D’Amico and Mary Ann Mayer. 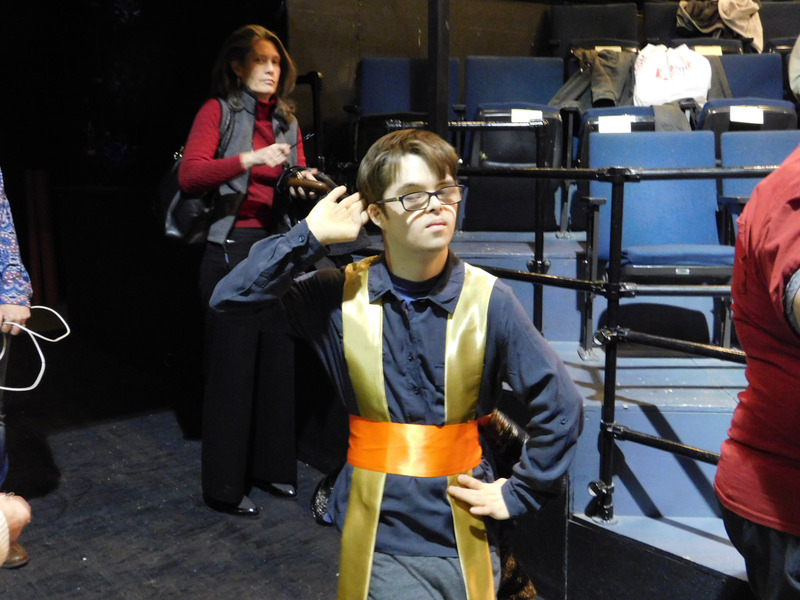 There’s been a lot written about the how music, dance and theater have a powerful and therapeutic impact on people with disabilities. 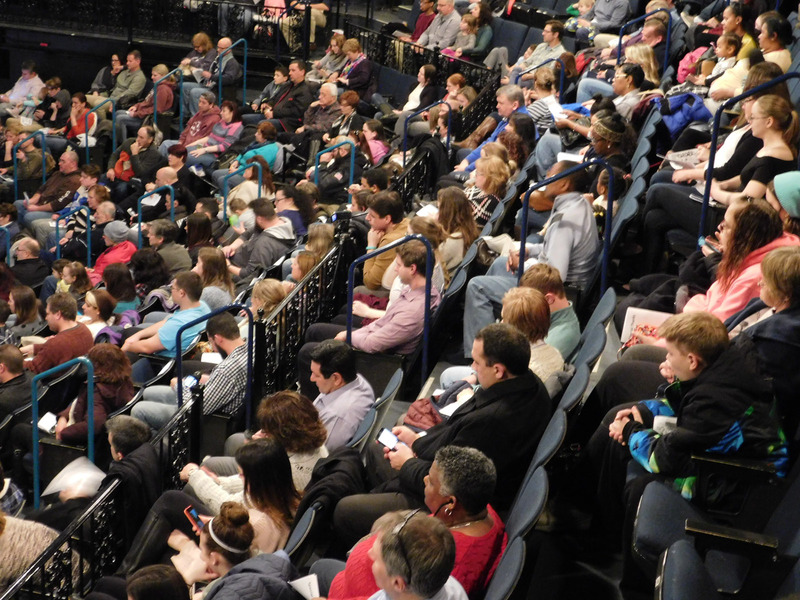 If there was ever a great example of this it was during a recent performance of an adaption of Mozart’s The Magic Flute performed on the stage of Trinity Repertory Company. 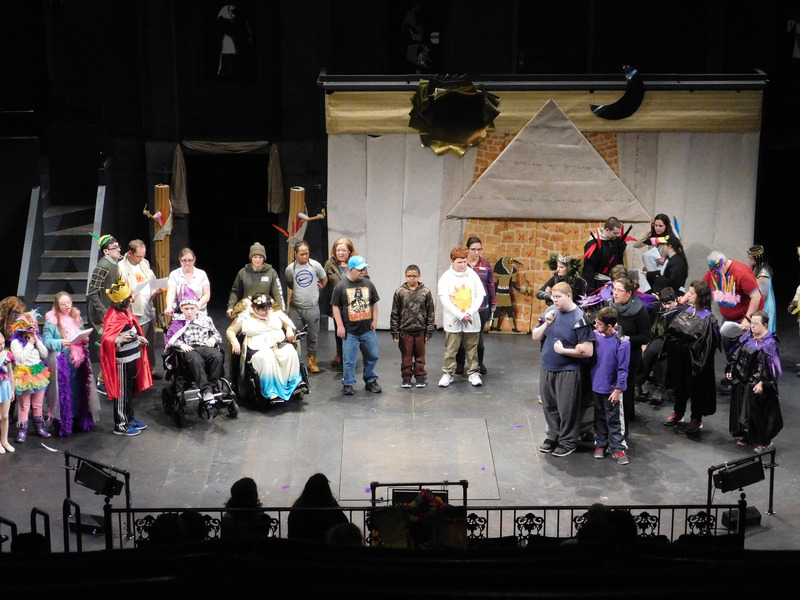 This production included children with Down Syndrome who are part of FBP’s Adaptive Dance program together with children and adults from the Rhode Island chapter of Seven Hills Foundation. 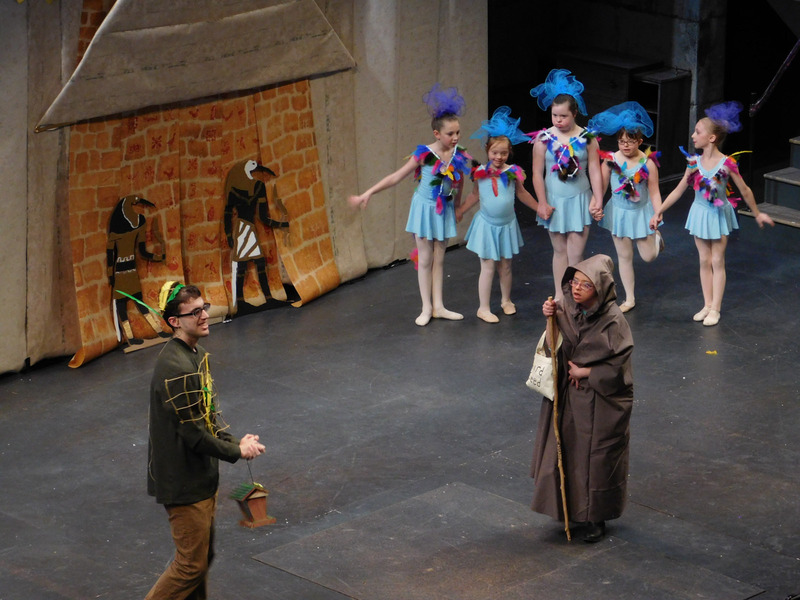 The production was written by Seven Hills’ Jonathan D’Amico with choreography by Mary Ann Mayer, FBP’s School Director. 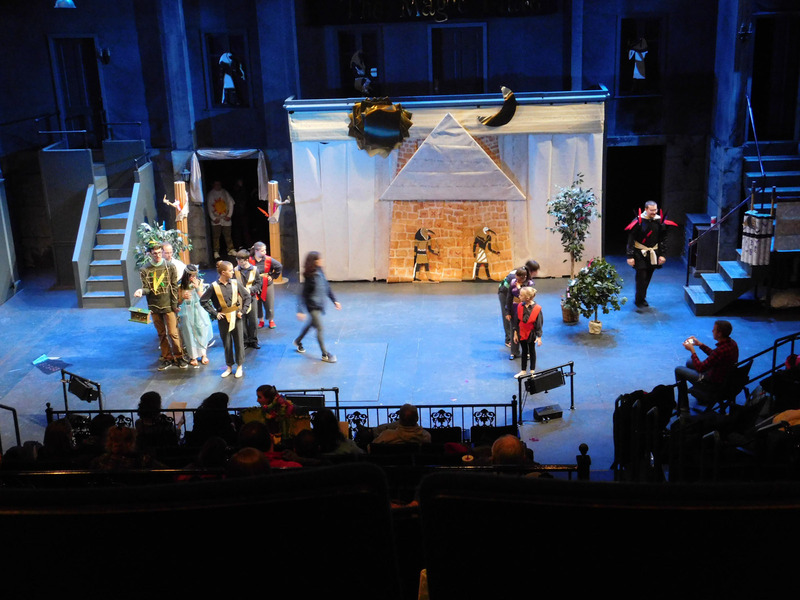 It was directed Trinity Rep’s education director Jordan Butterfield. Both FBP’s Adaptive Dance Program and Seven Hills RI have been recipients of grants by the John E. Fogarty Foundation. The Foundation, founded by Congressman Fogarty in 1964, grants organizations which improve the quality of life for Rhode Islanders with intellectual and developmental disabilities. Mary Ann and Jonathan met at the Fogarty awards presentation last spring, and began discussing the possibility of collaborating. 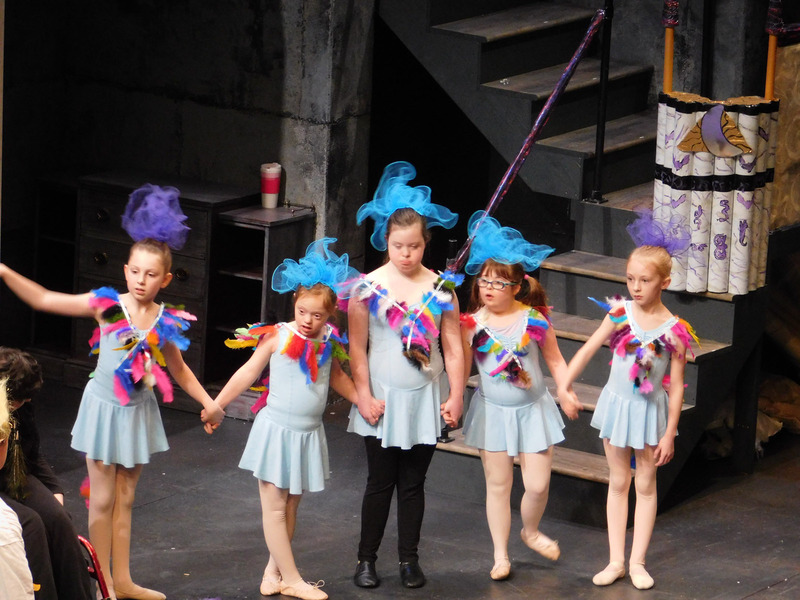 FBP’s Adaptive Dance Program was established 10 years ago in partnership with Meeting Street. 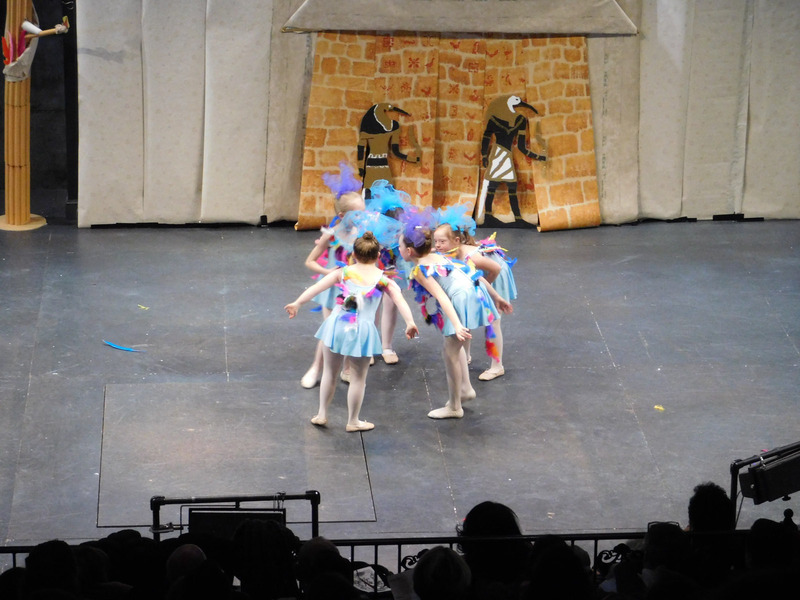 “The primary goal is for the children to experience the joy of dance and music,” said Mary Ann Mayer, the program’s director, adding, “but it also offers other important benefits. 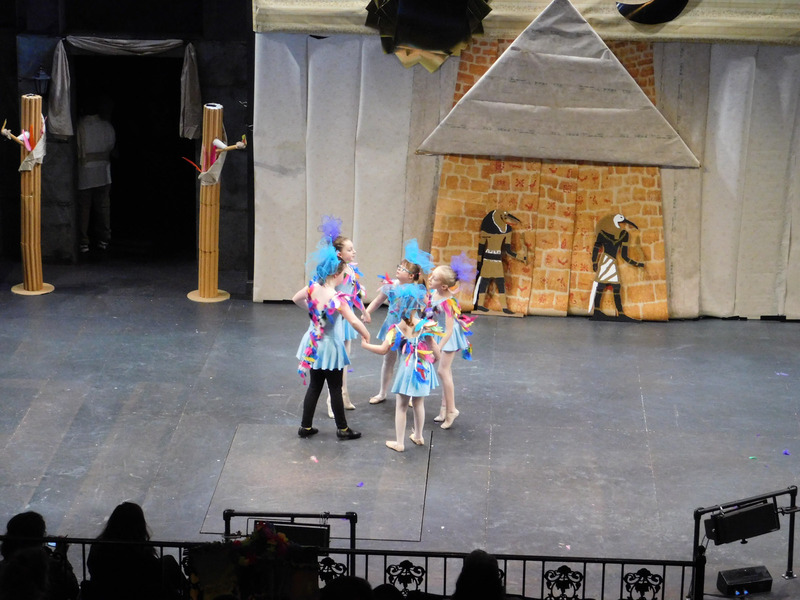 We see children who have improved their coordination, overall fitness, balance, self-esteem, self-expression, teamwork, rhythm, and musicality.” The success of the program is demonstrated by these children every Saturday morning during their weekly classes, and some have even been mainstreamed into other FBP School classes and even into the children’s cast of The Nutcracker and other FPB productions. Seven Hills Rhode Island is an organization that supports more than 1,000 infants, children and their families, adults, and seniors with various disabilities and life challenges throughout the state. 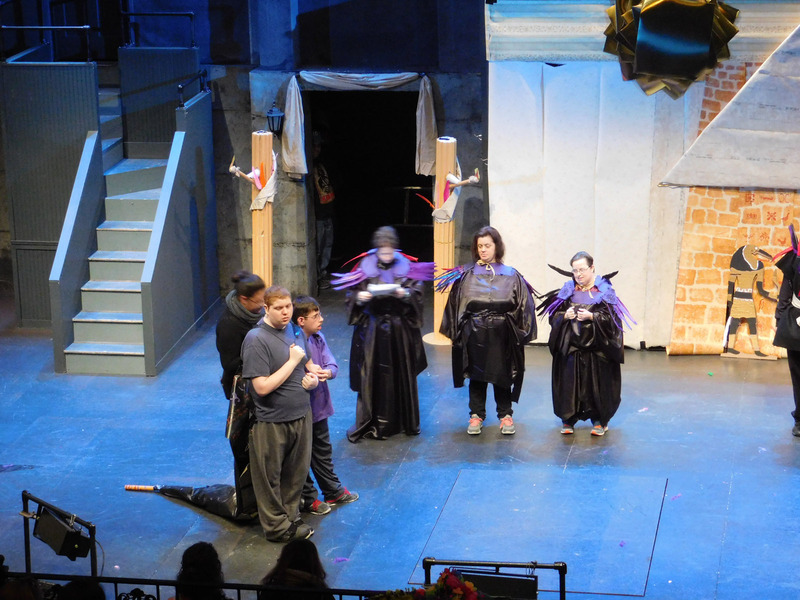 Jonathan began writing theater pieces for Seven Hills about five years ago. He said, “Most of our participants have significant challenges–social, developmental, intellectual or psychological–and we find that this program definitely helps them build social skills, self advocacy, self esteem, and interpersonal skills.” The program challenges the participants to do things they don’t necessarily know how to do or out of their comfort zone. 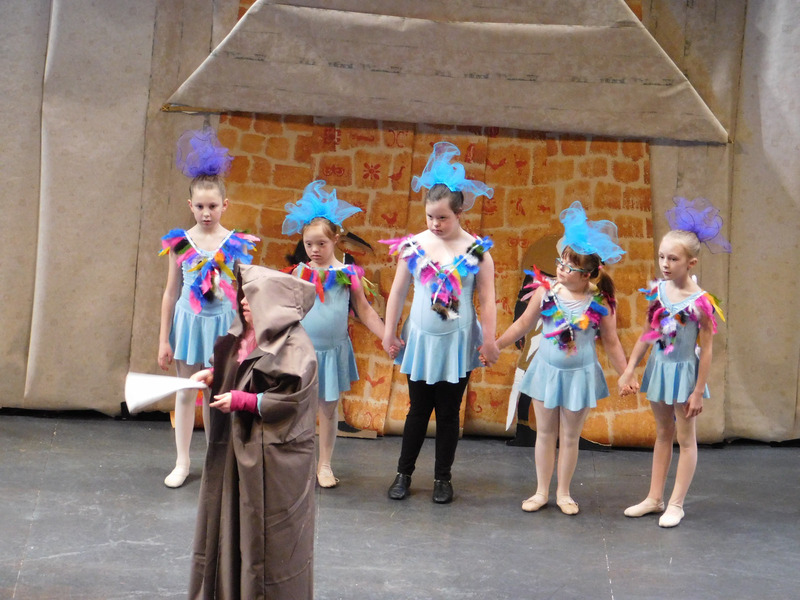 In The Magic Flute, the younger Adaptive Dance students played young birds of the forest and the older ones played temple guards. 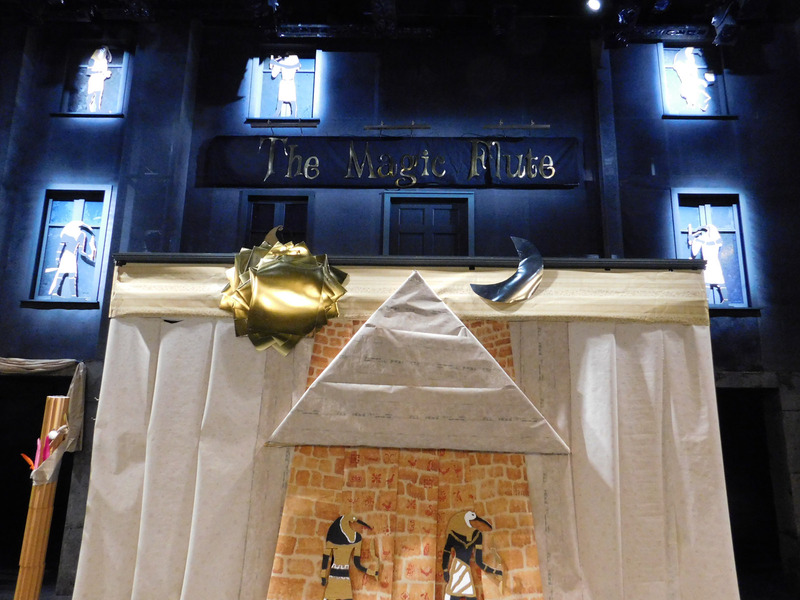 They charmed the audiences with their composure and precision. 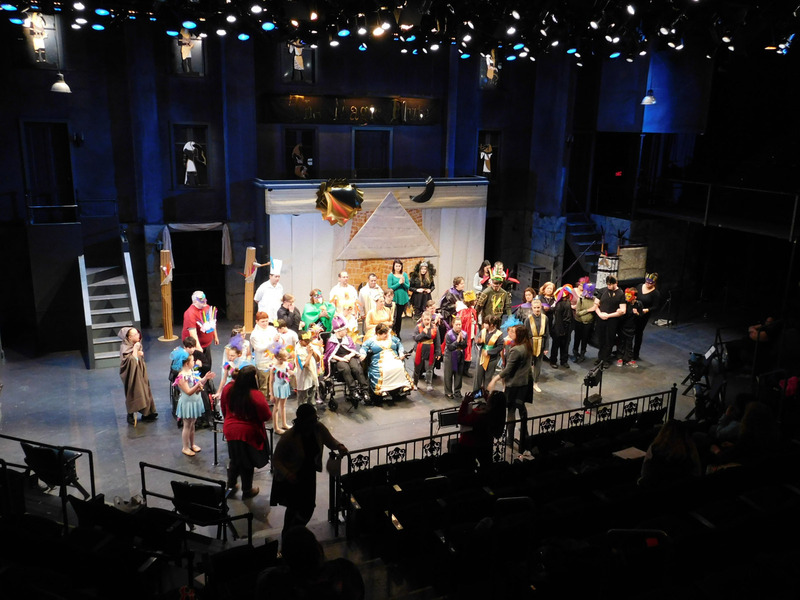 On stage, some participants are accompanied by other student “helpers,” their peers, who coach them and provide them with a sense of confidence. 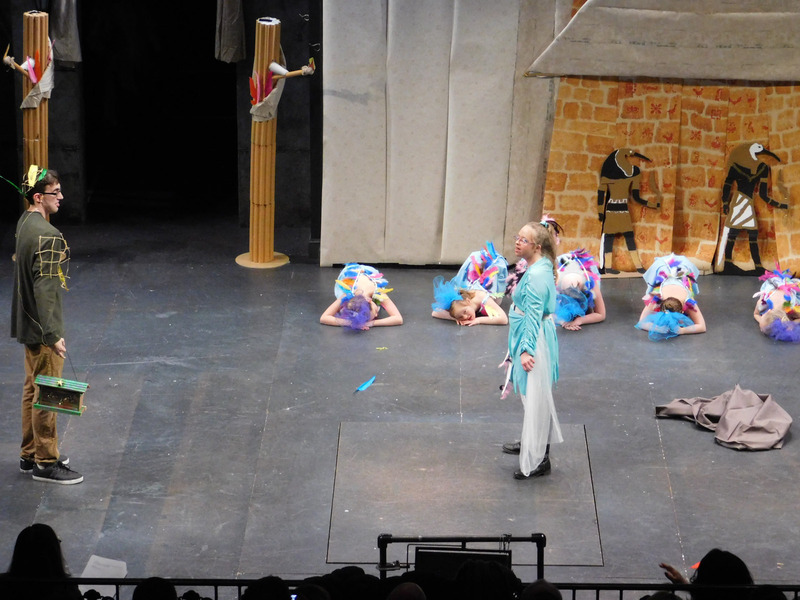 During one of the scenes in the show, one of the children faltered. 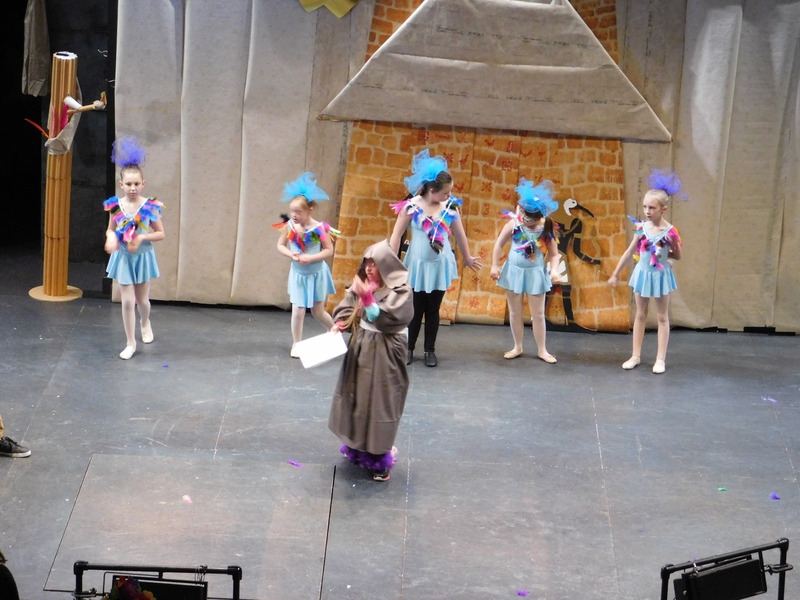 Her helper entered the stage and gently knelt down next to her, reassured her, and brought her to join the other dancers during the curtain call. They got a resounding round of applause. Ruth Davis manages Public Relations for Festival Ballet Providence.